Who's just keeping a chair among the blond clouds warm for them. But contrary to conventional wisdom, it never really matters much who’s in power in Jerusalem. Israel is always the regional bogeyman. And so, back in the good old days of post-Oslo Labor rule, America’s first lady, self-satisfied and basking in ultra-liberal sanctimony, smiled contentedly as Suha railed in indignation: “Our people have been subjected to the daily and extensive use of poisonous gas by the Israeli forces, which has led to an increase in cancer cases among women and children." No way could Hillary claim to have gotten the wrong end of the stick. She listened via simultaneous translation to Suha’s prepared script, accusing Israel –- in genuine medieval well-poisoning tradition -– of resorting to all manner of noxious concoctions to kill Arab women and tots (as distinct, presumably, from adult males). 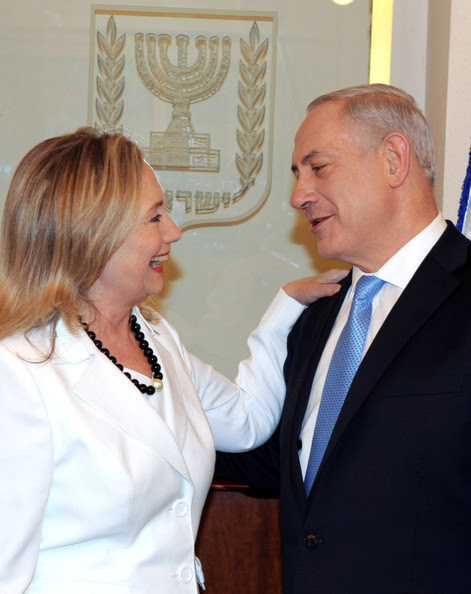 Among its other sins, Hillary’s hostess charged, Israel deliberately contaminated with lethal toxins 80 percent of the water (not 79% or 81%) consumed by Palestinian females and infants. 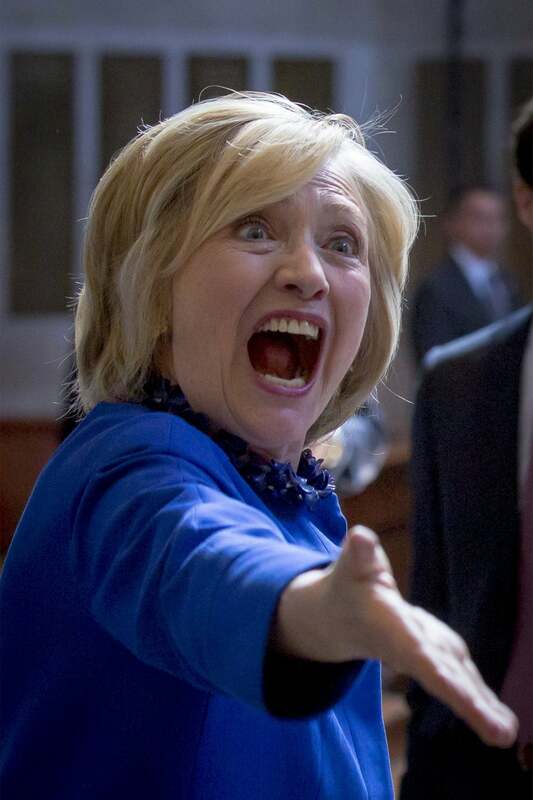 Hillary listened to the calumny without a hint of displeasure. Indeed, she nodded approval from time to time, and when Suha concluded, Hillary embraced her warmly and planted affectionate kisses on her cheeks. 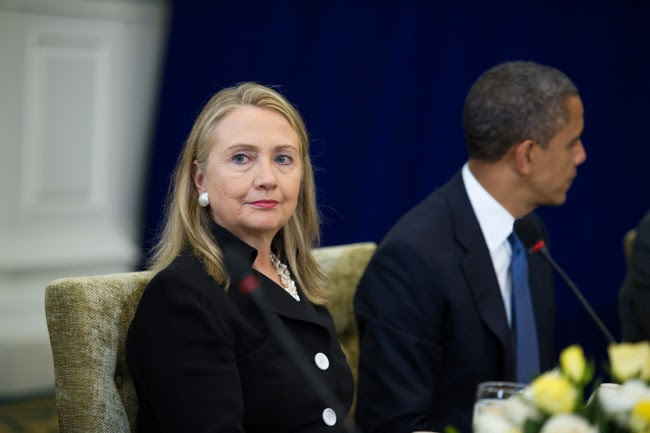 This past weekend, Tom Friedman, of the Times, sat down with President Obama, and Jeffrey Goldberg, of the Atlantic, posted online a long interview with Hillary Clinton. With the grim events in Iraq, Gaza, and Ukraine dominating the news, it’s fascinating to compare and contrast what the two former colleagues (and 2008 election rivals) had to say. 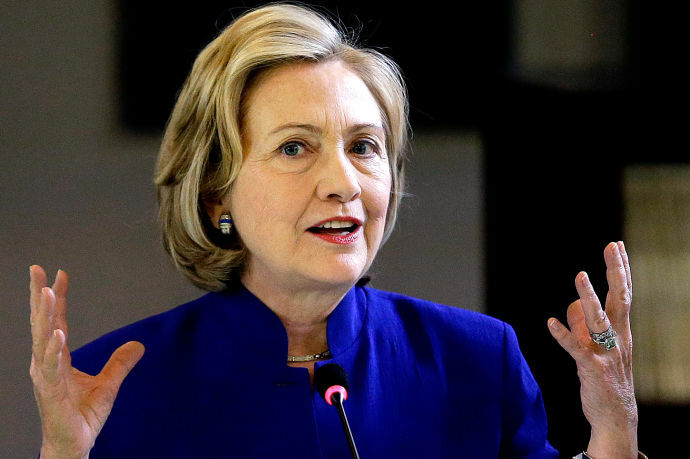 By Monday, speculation had turned to Clinton's motives. Does this mean that she’s definitely running? (That was Goldberg’s interpretation.) Was it a cynical effort to distance herself from an unpopular President? Is she already looking beyond the Democratic primaries to appeal to independents and to moderate Republicans? What you see is largely what Hamas invites and permits Western journalists to report on from Gaza. It’s the old PR problem that Israel has. Yes, there are substantive, deep levels of antagonism or anti-Semitism towards Israel, because it’s a powerful state, a really effective military. And Hamas paints itself as the defender of the rights of the Palestinians to have their own state. So the PR battle is one that is historically tilted against Israel. Even for a former New York politician, these were contentious statements. But what is their ultimate import? 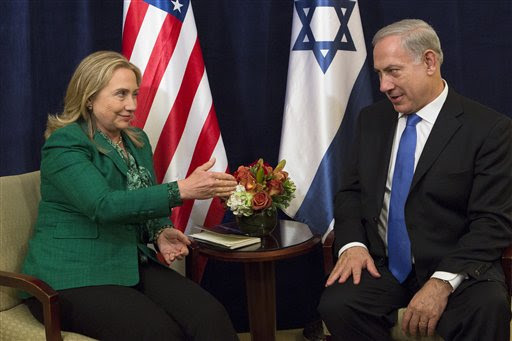 The cynical view is that Clinton is simply trying up shore up her reputation as a staunch ally of Israel. Earlier in Clinton’s career, pro-Israeli groups accused her of getting too close to the Palestinian cause. 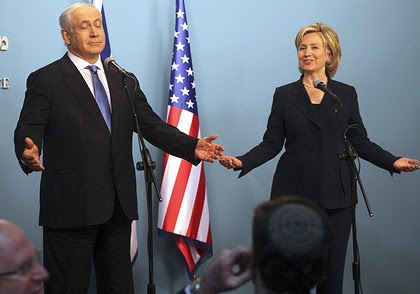 In 1999, a picture of her kissing Suha Arafat on the cheek ended up on the front page of the New York Post, under the headline “SHAME ON HILLARY.” After moving to New York in 2001 and running for senator, she adopted the default stance of most elected officials from the Empire State: unstinting support for Israel. As Secretary of State, in 2009-2010, she took part in efforts to restart the peace process, which, partly as a result of Israel continuing to expand its settlements, didn’t go anywhere. 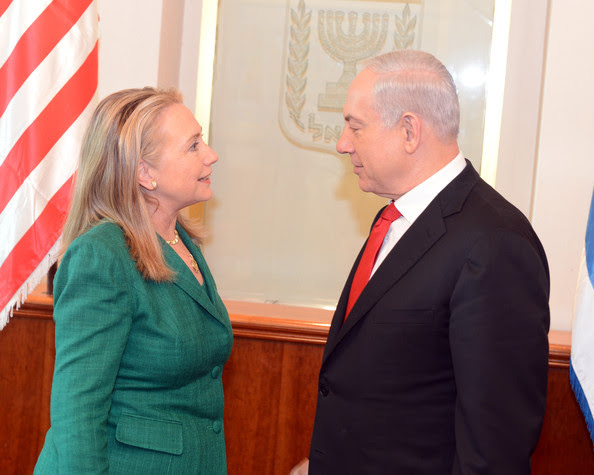 Unlike President Obama, however, Clinton maintained a reasonably cordial relationship with Netanyahu, and that was reflected in her supportive remarks to Goldberg. 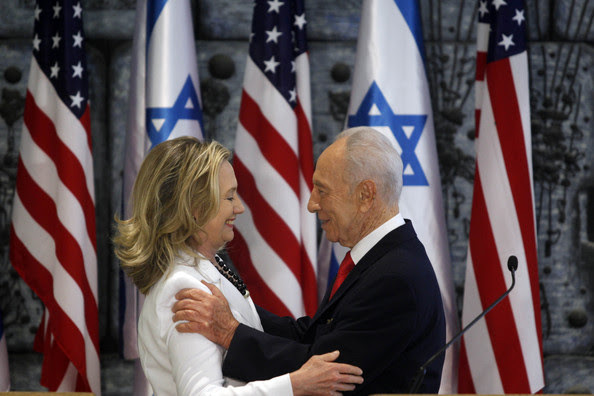 If Clinton is courting the pro-Israel lobby, it wouldn’t be exactly surprising. 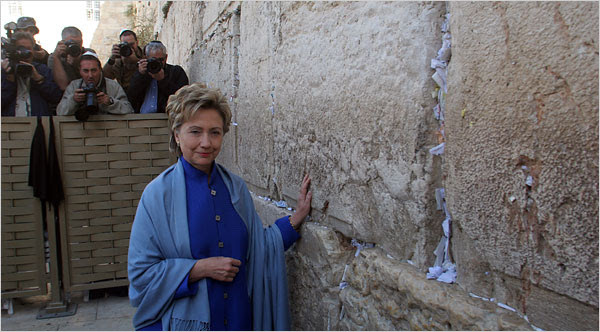 With the Republican Party busy trying to make inroads among wealthy Jewish campaign donors, it hardly behooves her to adopt a more critical approach to the Arab-Israeli conflict shortly before announcing a run for President. Rather than explicitly calling for a new Cold War focussed on radical Islam rather than on Communism, Clinton talked about exercising “smart power” and about engaging an American public that is now instinctively hostile toward foreign entanglements. But, reading the interview as a whole, that appears to be what she is advocating -- a sustained global campaign targeting radical Islam (some, doubtless, will call it a “crusade”) that encompasses all of the options at the disposal of the United States and its allies: military, diplomatic, economic, political, and rhetorical. Hillary is, first of all, a Republican who realized she could get where she is today by latching on to a Democratic school mate. Embracing Suha was a pose of two corrupt families that got rich selling out their constituents. I have never seen an American political leader relish punishing the vulnerable more than her.. the Honduras coup made that as clear as day. The Bushes are cold-blooded business people; Hillary is the same but also in it for something else. A Hillary administration without a Democratic opposition is potentially much more dangerous than W, leading to international chaos and the loss of any remaining patience for the US. What a great poem, Tom. A real pleasure to read and re-read. Hillary, when she’s in Washington, has been known to attend prayer breakfasts with Dominionists, who resemble nothing so much as Christian jihadists. Following this Obama interregnum, one crime family will replace another in Washington. Maybe Mrs Bush (Sr) was right when she said it's time for some family other than the Bushes, Clintons, and Kennedys. . .
Good work Tom, thanks for getting the word (and these photos, each worth 1,000 words) out there. I had thought the past six weeks of attempting to get the mind around the enormity of what's been happening in Gaza was bad enough... until I paused a moment to consider the future. Not to say we're looking at a shameless cynical opportunist who'd kiss, touch, wave a flag for or take money from anybody, shortly before throwing them under the bus, here -- but that Hillary campaign for the Senate back in 2000 did offer helpful insights into the character of "our" future. And that future is... now. In an op-ed in today's New York Times, Maureen Dowd speaks of a reporter friend who died in Iraq -- for absolutely nothing. 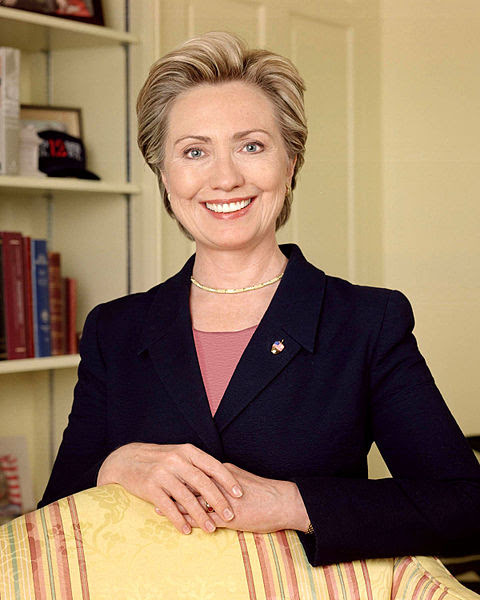 ...Hillary Clinton was one of the 29 Democratic senators who voted to authorize that baloney war. The woman who always does her homework, the woman who resigned as president of Wellesley College’s Young Republicans over the Vietnam War, made that vote without even bothering to read the National Intelligence Estimate with its skimpy evidence. It was obvious in real time that the Bush crew was arbitrarily switching countries, blaming 9/11 on Saddam so they’d get more vivid vengeance targets and a chance to shake up the Middle East chessboard, and that officials were shamelessly making up the threat as they went along. For me to believe that Hillary would be a good president, I would need to feel that she had learned something from that deadly, globe-shattering vote — a calculated attempt to be tough and show that, as a Democratic woman, she was not afraid to use power. Yet, she’s still at it. With the diplomatic finesse of a wrecking ball, the former diplomat gave an interview to The Atlantic’s Jeffrey Goldberg, a hawk, in a calculated attempt to be tough and show that, as a Democratic woman, she’s not afraid to use power. Channeling her pal John McCain, she took a cheap shot at President Obama when his approval rating on foreign policy had dropped to 36 percent, calling him a wimp just as he was preparing to order airstrikes against ISIS. It’s not that she’s too old, despite nasty cracks on conservative websites like the Washington Free Beacon. It’s that she’s too old-think, thrusting herself forward as a hawk at a time when hawks — in the season of Elizabeth Warren and Rand Paul — aren’t so cool. Americans are sick of the idea that we should plunge in and plant our flag in the ground and work out the details later. It’s a complicated world, where you cross the border from Syria to Iraq and your allies are the enemy. Besides, a Times article by Tim Arango and Eric Schmitt demonstrated that “at every turn” the rise of ISIS’s self-styled caliph, Abu Bakr al-Baghdadi, had been shaped by the United States’ involvement in Iraq — putting the ball of blame back in Hillary’s court. Hillary may know that she seemed unseemly. She called Obama to assert that she wasn’t attacking him, trying to avoid an awkward encounter when they both attend a Vernon Jordan party Wednesday night at the Martha’s Vineyard golf course where the president has been relaxing while the world explodes.